At the CES 2017, Asus unveiled the Zenfone AR as the world’s first smartphone to come with Tango and Daydream support. In the second half of that year, the company also launched it in India for Rs 49,999. Almost 18 months after its unveiling, the Zenfone AR is now launched as Zenfone ARES in its home country. 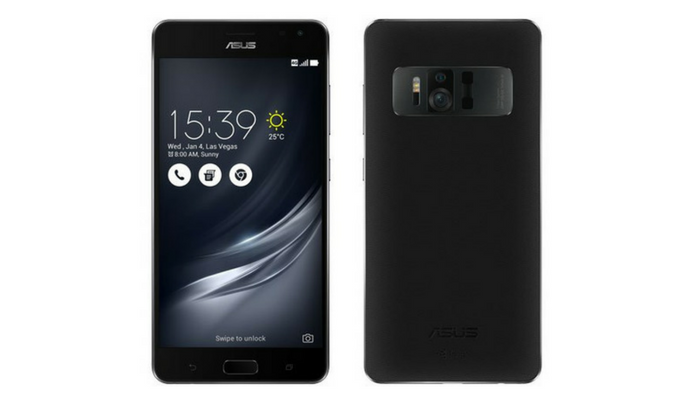 The Asus Zenfone ARES comes with the model number ZS572KL and is now on sale in Taiwan for NT$ 9,990 (approx $330 / Rs 22,700). Both the Zenfone AR and Zenfone ARES are separately listed on Google’s ARCore website. Talking about the specifications, the device sports a 5.7-inch Quad HD (2560 x 1440 pixels) Super AMOLED display with 16:9 aspect ratio. Beneath the display is the physical home button with an integrated fingerprint sensor. It comes powered by the Qualcomm Snapdragon 821 processor clocked at 2.4GHz and comes coupled with Adreno 530 GPU. It offers 8GB of RAM and 256GB of internal storage that can be further expandable up to 128GB via a MicroSD card. At this price, the Zenfone ARES should be most affordable 8GB RAM smartphone. The device is tweaked for augmented reality usage featuring additional sensors. There is also a built-in vapor cooling system to handle the device overheating. It still runs on the older Android 7.0 Nougat out of the box with the Zen UI on top. On the rear, the Zenfone ARES is mentioned to sport an upgraded 23MP camera with 4-axis OIS, EIS, dual-PDAF, TriTech autofocus system, second-gen Laser Focus, and continuous-focus. Coming to the front, there is a single 8MP front-facing camera with f/2.0 aperture and 85-degree wide angle lens. It comes with SonicMaster 3.0 support and offers Hi-Res audio via headphones using the DTS Headphone:X technology. It measures 158.67 x 77.4 x 8.95 mm and weighs 170 grams. With all these beefy specifications, the device is backed by a 3,300mAh non-removable battery that also supports Quick Charge 3.0 fast charging technology. We don’t expect the company to launch the Zenfone ARES outside of Taiwan. Stay tuned on PhoneRadar for more details! The post Asus Zenfone AR Now Launched as Zenfone ARES in Taiwan appeared first on PhoneRadar.